What Shahid Kapoor Said On His Age Difference With Wife Mira Rajput Is Unbelievable! Shahid Kapoor and Mira Rajput are one of the most adorable couples of Bollywood! 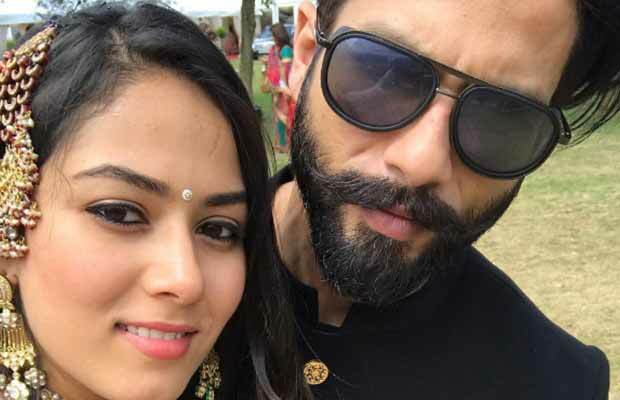 There is no doubt about the fact that the actor Shahid Kapoor and his wife Mira Rajput are one of the most adorable couples of the Bollywood industry. On many occasions we have seen the two of them giving us couple goals. Especially when we saw them on Karan Johar’s talk show, Koffee With Karan. The couple looked simply adorable. And it was evident how much they love each other after looking how comfortable they were together. Shahid had recently been making headlines after he was announced as the se*iest men in Asia. He had also been in news due to his much controversial film, Padmavati. But recently, the actor has said something which has again put him in news, but not for the very right reasons. Talking about his age difference with his wife Mira, he told a daily, “At the age of 18, I had no idea that will be married to a girl who was five years old when I was 18. I guess that’s the naughtiest thing I have done.” Well that is something creepy that Shahid just said! Talking about the work front of the actor, he is a part of the film Padmavati. Directed by Sanjay Leela Bhansali, the film stars Deepika Padukone, Ranveer Singh and Shahid Kapoor. It was supposed to release on December 1, this year. But has now been pushed to the next year and the new release date is not out yet! Next articleJacqueline Fernandez Beats Katrina Kaif, Anushka Sharma In The Hotness Race!